New listingA FINE ROYAL DOULTON FIGURINE,"ROSEMARY",HN3691. 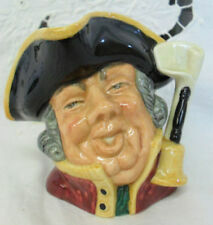 New listingRoyal Doulton Figurine DELIGHT HN 1772. In excellent condition. 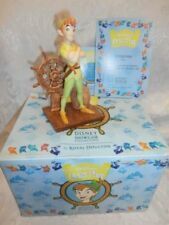 Royal Doulton Bunnykins Figurine,Jockey Bunnykins - DB169.Ltd Ed. New listingRoyal Doulton Figurine 'Carefree' - HN3026 - From The Images Series. Royal Doulton Emma HN 3208 Figurine marked by Adrian Hughes. Condition is Used. Dispatched with Royal Mail 2nd Class. Miniature figurine in good condition. PayPal or cash on collection. I only post to the UK, unless through ebays global shipping program. PLEASE CONTACT ME FIRST WITH ANY PROBLEM. ROYAL DOULTON BRAMBLY HEDGE. THE FOUR SEASONS 6 1/2" PLATES. Rare Royal Doulton Brambly Hedge Sandwich tray 1st quality. Dated 1990 to the back. New listingROYAL DOULTON BRAMBLY HEDGE OVAL TRAY / DISH JILL BARKLEM 1985 EXC CON!!! 3 tier cake stand made from Bruce Oldfield elegant Doulton plates in white and baby blue with gold rim RD 2005. Also £10 for 2 cake stands. Condition is Used. Completewith pl at e ha ng er. Royal Doulton Character Jug - THE COLLECTOR - D6796 - LARGE. 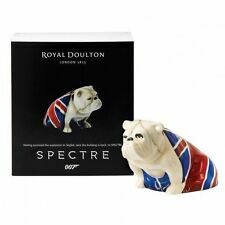 Royal Doulton only issued this jug solely in 1988 as a limited edition of 5000 Worldwide. An excellent example of the designs that go into Royal Doulton Character jugs. ROYAL DOULTON 'LARCHMONT' SET OF 4 X CEREAL / DESSERT BOWLS 1ST. Used in good condition no cracks or chips or glazing I have got more tableware from same brand you can check my listings From pet and smoke free home Dispatched with Royal Mail 2nd Class. Royal Doulton Brambly Hedge Figurine. "Tea at Hornbeam Tree" figure DBH 59. This figure is in perfect condition and boxed it measures 11cm in total. Dispatched with Royal Mail 1st Class. 'Carnation'. Royal Doulton. Coffee Pot. Barely used - one cup still retains. Pattern and Glaze remain vibrant with. NUMBER : HN2254. ENTITLED : SHORE LEAVE. MY LOCAL DROP OFF POINT WILL BE USED ON A DAILY BASIS. CREATED AS PART OF THE "SEA CHARACTERS" SERIES, AGAIN MUCH SOUGHT AFTER BY COLLECTORS. INTERNATIONAL SIGNED FORSERVICE. A small milk jug made in bone china in England by Royal Doulton from the Brambly Hedge Gift Collection and the jug has the Spring design on it with pale lemon border. #2 BEAUTIFUL ART NOUVEAU ROYAL DOULTON PORCELAIN TRIO. A TEACUP, SAUCER AND SIDE PLATE, ALL WITH GREEN MARK UNDERNEATH. 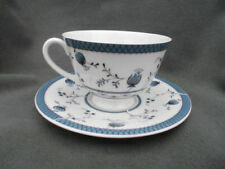 IN BLUE AND WHITE STYLISED FUCHSIA DESIGN. THEY HAVE A SLIGHTLY SCALLOPED EDGE WITH GOLD RIM. HALLOWEEN BUNNYKINS ROYAL DOULTON 1993 DB 132, NO IMPERFECTIONS, GOOD CONDITION. Halloween Bunnykins in a very good condition. Approx 8 cm's Tall. 5 out of 5 stars - HALLOWEEN BUNNYKINS ROYAL DOULTON 1993 DB 132, NO IMPERFECTIONS, GOOD CONDITION. 2 product ratings2 product ratings - HALLOWEEN BUNNYKINS ROYAL DOULTON 1993 DB 132, NO IMPERFECTIONS, GOOD CONDITION. Presented for auction is this superb Vintage Rare Royal Doulton Small Limited Edition The Collector Character Jug D6906. Produced by Royal Doulton in 1991 for Kevin Francis Ceramics Ltd in a special limited edition of 1500 pieces, it was designed by Stanley J. Taylor and is Doulton number D6906. It is superbly modelled and finished with a black hat, dark green jacket and tan shirt with the handle being a hand holding a Mephistopheles jug, superb quality item/craftsmanship. Measuring 4" high approx. it is in excellent used condition with no chips, cracks, crazing or restoration and is marked to the base with the green Royal Doulton mark and various other marks, please see all the additional photos as they form part of the description. 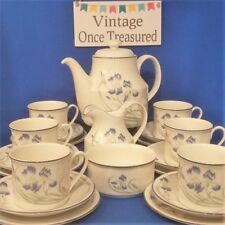 A superb vintage rare limited edition Royal Doulton. A very attractive retired Royal Doulton - Victoria 2471 in a very pretty bright pink & white floral pattern dress. She is in perfect condition, having been on display for a long time.. Dispatched with Royal Mail 2nd Class. Royal Doulton Character Jug - BUZFUZ - D5838 - SMALL. Buzfuz was an early character jug and is a literary character from Pickwick Papers by Charles Dickens. 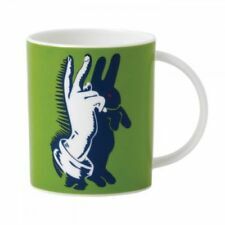 An excellent example of the designs that go into Royal Doulton Character jugs. IN GOOD CONDITION. THE TEAPOT HAS A SCRATCH THROUGH THE ROYAL DOULTON SIGN. THE JUG AND SUGAR BOWL HAVE A SCRATCH THROUGH THE TEA SERVICE SIGN. HOWEVER IT IS YOUR RESPONSIBILITY TO REQUEST IT IF YOU REQUIRE THAT COVER. Stunning Royal Doulton. Large Character Jug. 'Lord Nelson'. 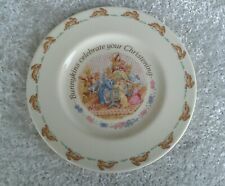 Royal Doulton Brambly Hedge 'The Wedding' Plate. Condition is Used. Dispatched with Royal Mail 1st Class. royal doulton brambly hedge plate ‘Old Oak Palace’ By Jill Barklem. Condition is Used. Dispatched with Royal Mail 2nd Class. Royal Doulton Figurine - The Old Balloon Seller - HN1315. Condition is Used. Dispatched with Royal Mail 1st Class. Item is as new, unblemished. 8 Large Plates. 8 Side Plates. NUMBER : HN1691. IS ALSO A RETIRED LADY HAVING BEEN RETIRED FOR 70 YEARS! MAKING HER MUCH SOUGHT AFTER BY COLLECTORS. ENTITLED : JUNE. RETIRED : 1949. SHE IS A VERY PRETTY LADY CREATED IN A YELLOW AND PINK COLOURING. ROYAL DOULTON BRAMBLY HEDGE PRIMROSE IS LOST WALL PLAQUE. FROM THE LAKELAND STUDIO. THIS IS A ROYAL DOULTON BRAMBLY HEDGE SET OF 1983 SEASON PLATES BY JILL BARKLEM. AUTUMN 1983. WINTER 1983. Royal Doulton Brambly Hedge 'The Great Hall' Plate. For sale a very collectable plate from Royal Doulton's Brambly Hedge gift collection 'The Great Hall'. It measures approx. 8 ins. in dia. is dated 1990 and comes in great condition. 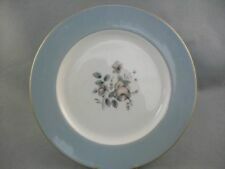 Royal Doulton PILLAR ROSE Side Plate Diameter 6 ¼ inches. Royal Doulton Queen Of The Dawn- Enchantment Range Peggy Davies 1983 Retired 9"